Kiss is the #1 American Gold Record Award winning group of all time. Simmons given name is Chaim Witz. Diane Grant, Canadian playwright and screenwriter. 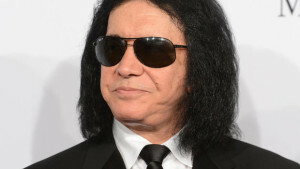 Too bad we don’t have more role models like Gene Simmons. Seems like so many Hollywood actors, prominent sports figures, and musicians in the entertainment industry have or have had an alcohol drug problem. And, our youth look up to them which makes it “okay” in their minds to do the same. It’s hard to find a true hero these days!